This weekend we finally acquired all the presents that we will be shipping out to the fiancé's family and our stepson. I'm so excited about it! I wish I could be there when they open it all up. I desperately want to show it off, so I thought I would do so here. 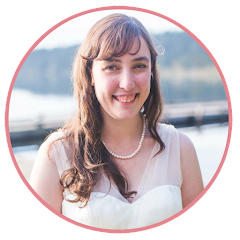 I'm pretty sure none of you read my blog, but just in case, if you are Jessica, Cassie, Callie or Jackie, STOP READING NOW! Thank you! The most exciting presents (to me) we are sending out are the handmade jewelry I made for the ladies. Here they are! Aren't they lovely? I am just thrilled at how they turned out! Pearl Earrings with Swarovski Crystals for my mother-in-law: I think this is my absolute favorite of the four. I knew I wanted to make pearl earrings for my mother-in-law, but I wasn't sure of the design. I got some jewelry inspiration from Pinterest before heading to the bead store and came up with this design. I think they look so elegant! Perfect for a mature woman. I didn't know what her favorite color is and have no idea what colors her nicer clothes are. I decided to avoid colors so that she could wear these with any of her outfits. Hoops for Gauged Ears and Black Swarovski Crystals for my stepson's mother: I've noticed from some of the ladies I've known with gauged ears that they like to wear hoop earrings through the gauged hole. They miss wearing dangly earrings. So I made these special earwires for gauged ears. I hope they work out good. I really think the beads I picked out fit her personality. Again, avoiding colors also means she can wear these earrings with any outfit. Seed Bead Hoops for the older of the younger sister-in-laws: Going to the bead store, I wasn't sure what I wanted to do for her. All I knew was it had to be purple. I wasn't getting inspired by any of the beads I was seeing and I wanted each piece to be unique. After picking out everyone else's beads, I decided to make these seed bead hoops. I had planned on making some for myself based on some Pinterest inspiration a long time ago but never got around to it. I really think these turned out perfect for her. Swarovski Crystal Four Leaf Clover Earrings for the younger of the younger sister-in-laws: This wasn't my original idea. I hate having a concept in your head that you can't make a reality. She really loves four leaf clovers. Her dream in life is to own an Irish pub. I looked all over the bead store and could not find one four leaf clover charm. I finally asked one of the girls at the counter and they immediately took me to a charm I had already looked at... a three-leaf clover. Not the same! She finally found this Swarovski crystal four-leaf clover. I went with it and I like the results. As part of my new year's resolution, I plan on posting more jewelry related articles, so stay tuned! I plan on covering how to make ear wires and do the wire wrapped loop, both of which are required to make these earrings. The Celtic themed earring was made using the same concepts from my Wire 1 (part 2) write-up. To finish these up, I made my own jewelry cards based on this Pinterest Pin. I used old thank you and Christmas cards that I had on hand and cut them down to size. I then used a thumb tack to make holes for the wires. For the gauge earring hoop, I had to slit the cards to the holes so that I could slide them in from the side instead of threading them through. The three on the right actually stand up on their own as I kept the spine and back of the card when I cut them. I really like how they turned out! That took care of 90% of the in-laws and cost under $30 for materials. It does not include tools and classes I have purchased and attended throughout the year and my time. Since it is a hobby and I would have been doing it any ways, I say that was pretty good savings! My sister-in laws husband is getting some geek swag from the Penny Arcade Expo (PAX), a video game convention that my fiancé and I attend here in Seattle. He is a pretty big video game nerd, so that fits his MO. My stepson is getting a new Xbox from his grandparents, so we are picking him up a new hard drive. My fiancé bought him a video game through GameFly for $10 using one of his game coupons and taking advantage of one of their sales. It looks brand, spankin' new! Love getting games through GameFly! It really has saved us so much money throughout the years. I got GameFly for my fiancé for his first Christmas with me. My fiancé also owns the game, so they will be able to play it together. We also renewed his Xbox Live subscription. It is part of our family plan, so it would have re-upped anyways, but we like to point out that this is something we are paying for him. 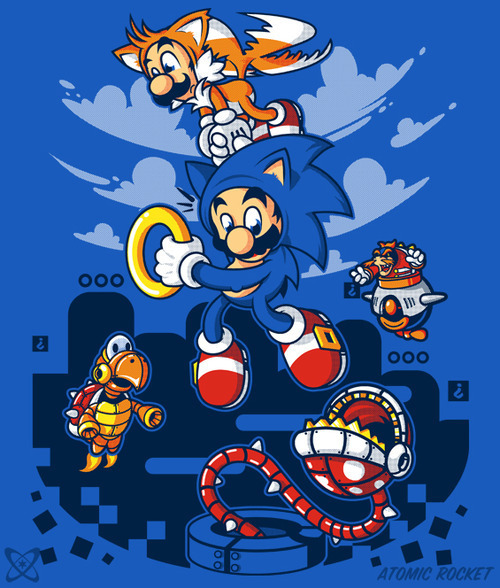 My fiancé also found this really cute Mario and Sonic the Hedgehog crossover shirt from Teefury. Me too! Thank you for checking mine out! ! ! Wow, girl! You've got skills. Handmade gifts are the best, so I know your family are going to L-O-V-E these. 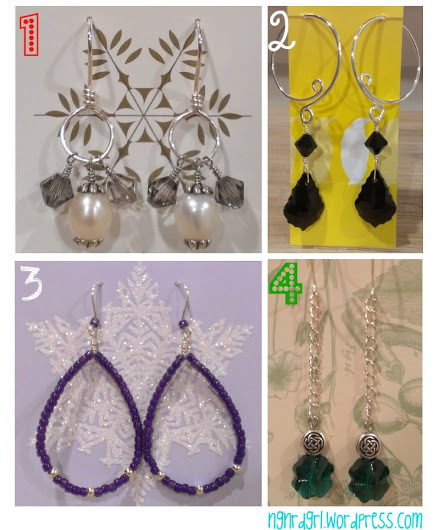 Looking forward to more jewelry posts from you in the new year! I think I need to be on your Christmas list, lol! Absolutely lovely!